Leave a lasting impression that your guests can take home with them! Green screen background allows guests to select their own background. Fully customizable templates and backgrounds to fit your event. 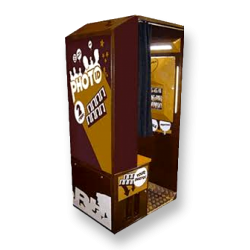 Our classic photo booth will make a great addition to your event.